Is Jurassic Park Still Good After 20 Years? Jurassic Park was a landmark film in 1993. It showed how far special effects had come, and brought people in to a world where dinosaurs once again roamed the Earth, but after 20 years and countless special effects laden films does the movie still hold its own? Yes it does. 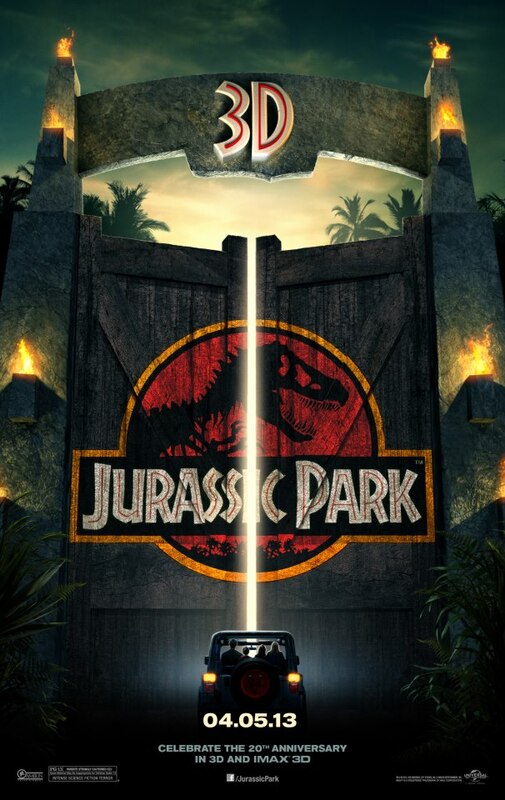 The plot is fairly basic, a group of people are getting a preview of a new theme park that contains cloned dinosaurs. When a man turns off the power to steel dinosaur embryos and sell them to a rival company, and then of coarse everything falls apart endangering everyone at the park. However, when your movie is about recreating and showing dinosaurs a simple plot is for the best, and it works wonderfully. It is amazing how well the special effects still hold up, and I think the reason for that is that they blended animatronics with computer generated imagery (CGI) to make these amazing creatures come to life. Now all movies use is the CGI making everything loose the weight and solid feel of the creatures they make, but have something real makes it all the more believable. 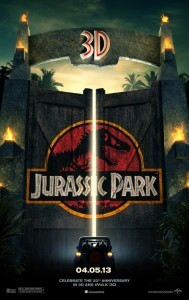 Another reason this movie holds up so well is that lesser directors and story tellers would have just made this a monster movie, and there is nothing wrong with a good monster movie, but instead Steven Spielberg makes this more like a safari gone wrong, and treats the dinosaurs just like animals that are doing what animals would do. This allows the T-Rex to be a hero and a villain all at the same time, and it makes the world he creates believable, and despite the danger someplace I still want to visit. I never got to see this movie in theaters because I was not 13 yet and Mom wouldn’t let me, and after seeing it in theaters now I have to say that this is the format this movie was made to be seen in. This movie is big and demands to be seen on a screen equally as big, from the amazing sounds to the incredible sites. The one major drawback is the new inflated price, it is $17 a person to see it in IMAX 3D, and the 3D does not add a whole lot to the film, but it is better then most post produced 3D treatments, and the new high resolution looks great. If you have the money, or you are like me and have never seen this movie in theaters, then do yourself a favor and re-watch this classic film by one of our greatest filmmakers. Next PostNext Did Argo Deserve Best Picture?